Dalyan is a small, charming village where life goes on much as it has for hundred years, with its seven km long stretch of golden sand Turtle beach, surrounded by salt water on one side and fresh water on the other also as historical importance with the Lycian Rock Tombs and a big deal of fun in Mud Baths. 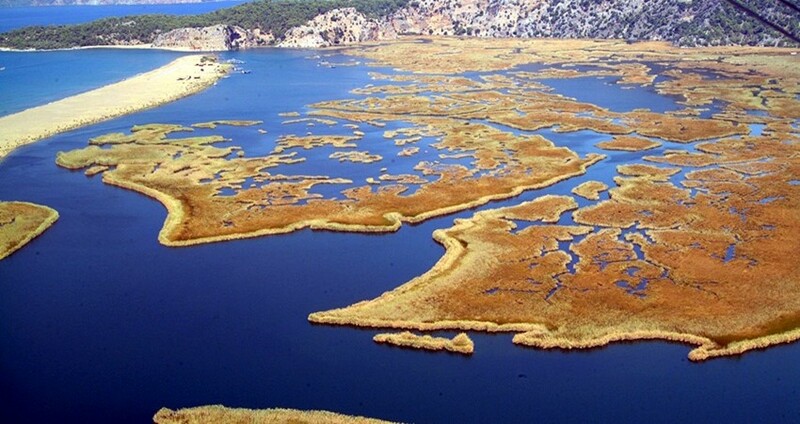 Dalyan remains as one of the most unique corners of the Turkey. 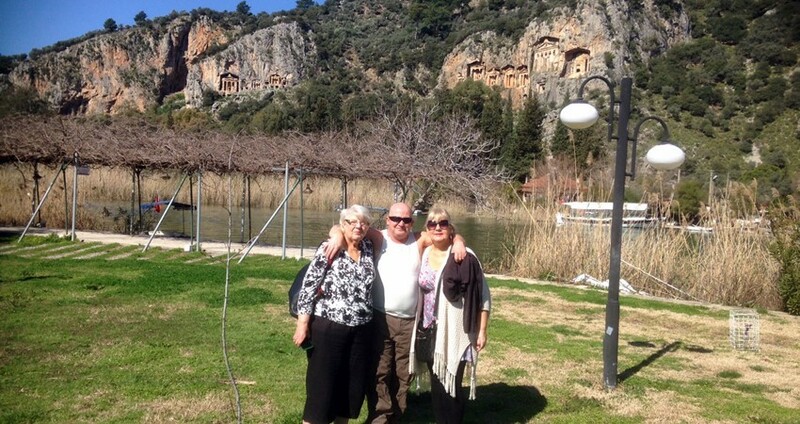 Private Marmaris Dalyan Tour is organized by car whole year long, including private a/c car, driver, english speaking tour guide and lunch. Maximum number of guests is upto 4 people. 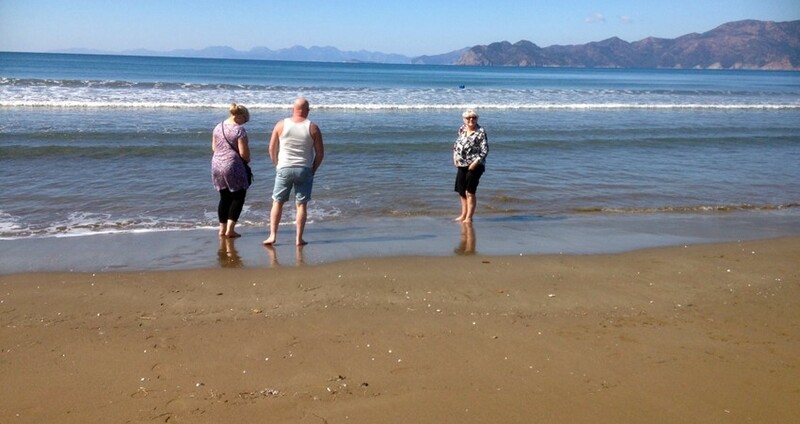 If your group is more then 4 people please contact us before booking this tour. 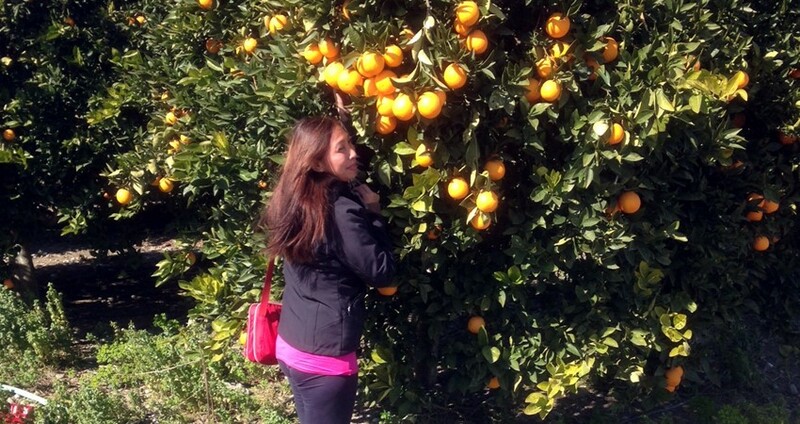 The tour price doesn’t cover entrance fees, drinks and personal expenditures. One hour and ten min short drive from Marmaris is enough to arrive to side of Dalyan (Turtle Beach), where you will come across with a unique touch of nature and history. Stop over at the magnificent Rock Tombs of the ancient city Caunos carved on the facade of the high cliffs. 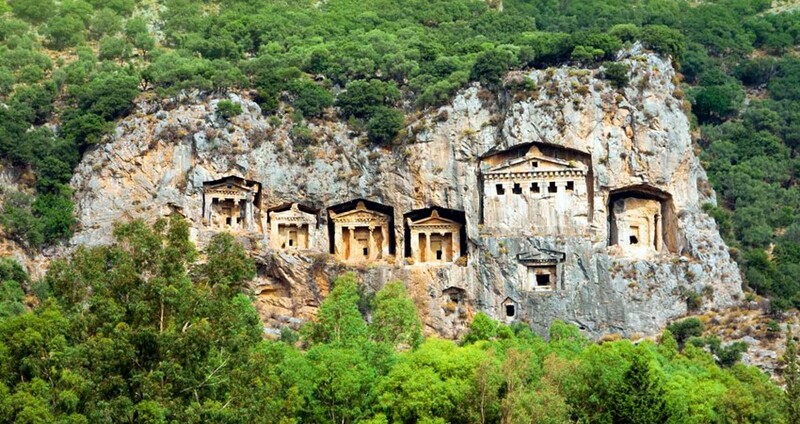 These ancient graves in Turkey is spectacular and the evidence of civilization gone by. Just opposite to the temple tombs there is a small cafeteria wehere we will have a short tea break and take pictures. 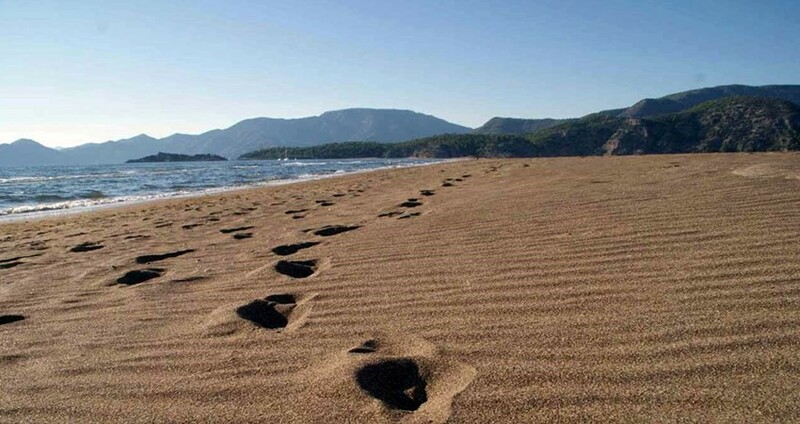 At the end of the drive we will arrive to the Dalyan Beach or named as Turtle Beach, 7 km long golden beach on one side you will have the waters of the Mediterranean sea (Salt Water) on the other side of the beach you can touch the waters of the lake (Fresh Water). There we will have swimming break. 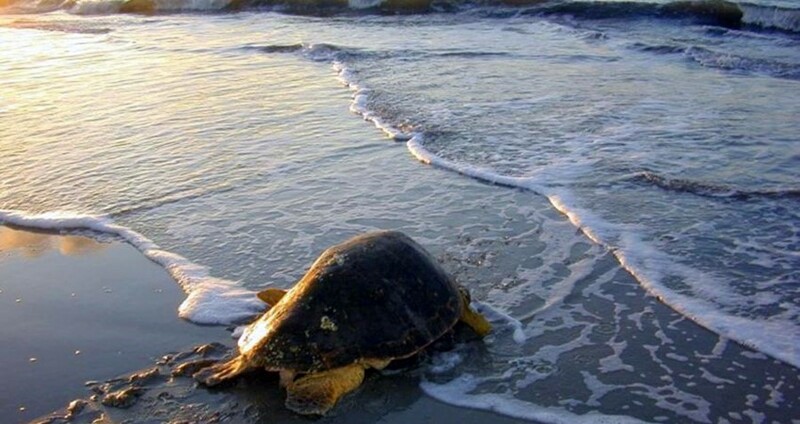 Enjoy your swim and if you are lucky enough you will have the chance to came across with the Caretta Caretta turtles. 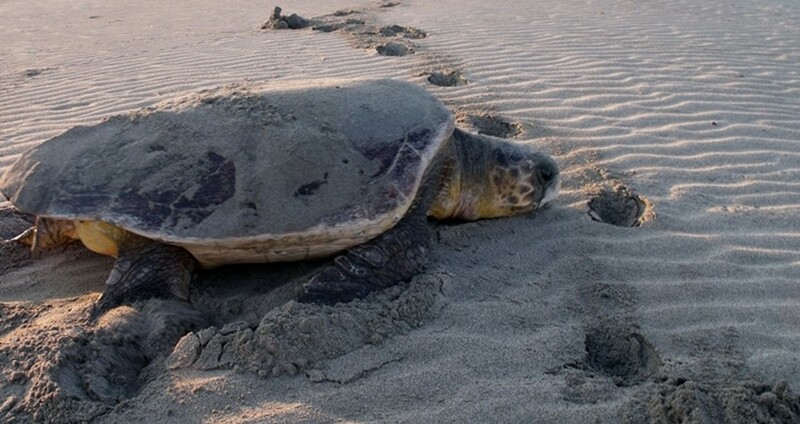 Sea tortoises have became the symbol of Dalyan. 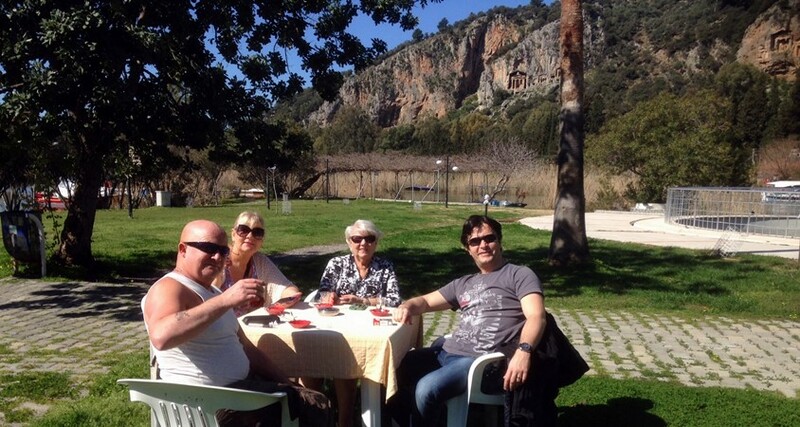 This interesting Private Tour to Dalyan from Marmaris will add a taste to your holiday in Turkey . 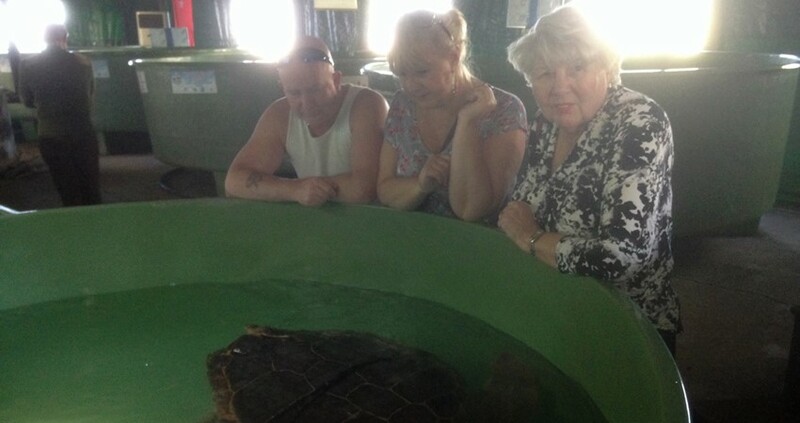 The next stop will be Caretta Caretta Turtle hospital which is near by, where we will see the injured turtles which are now under treatment in the special water tanks. After they recovered they will set free once again. 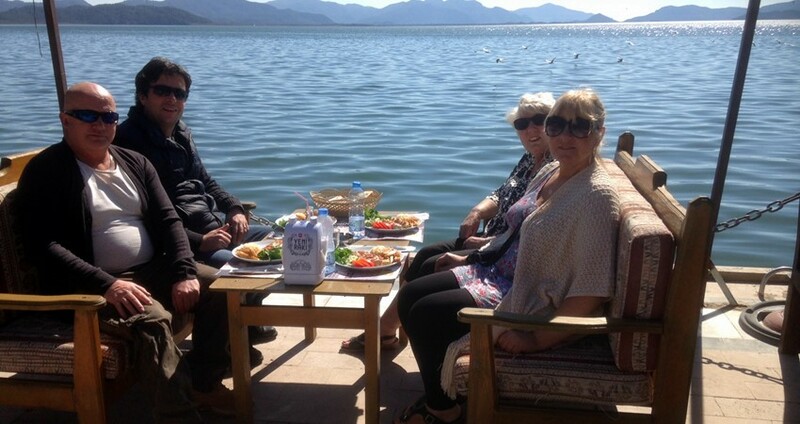 Lunch will be at Köyceğiz, a small town at the banks of the lake (Köyceğiz). Lunch is inluded in the price but the drinks are extra. 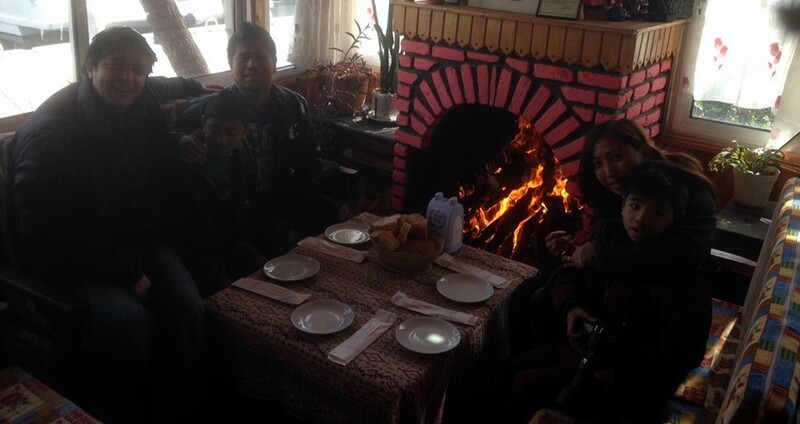 After the lunch we will drive to Sultaniye Mud Baths, where thermal waters with sulfur and alot of mud to have fun. 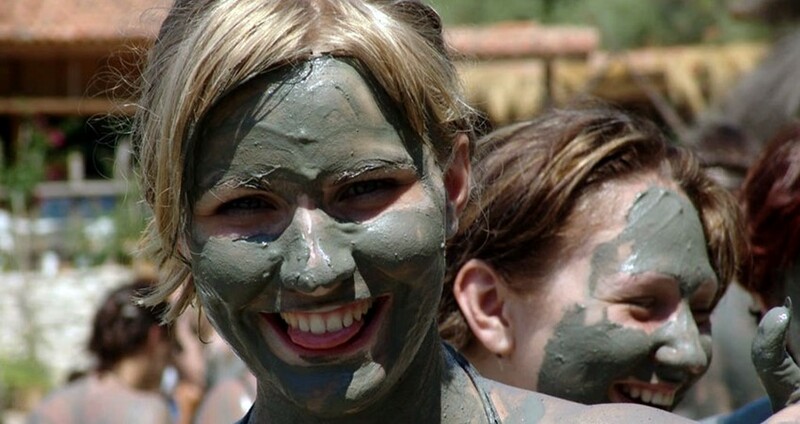 Mud Baths and swimming in the thermal water pools is another reason for you to join this private tour. 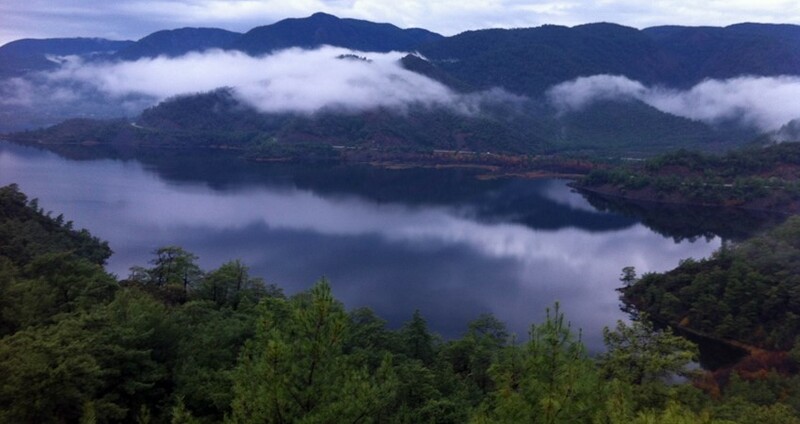 The coast of these private excursions calculated according to the number of people will join the tour, lunch, comfortable transfer, english speaking guiding service, parking fees are included in the price. 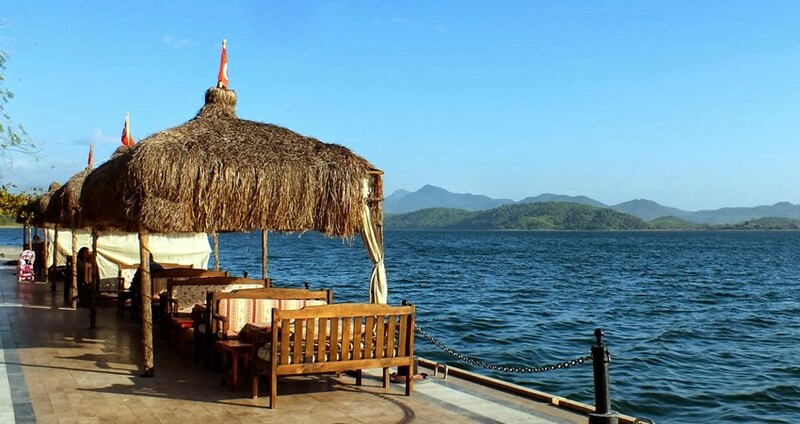 On these private excursion to Dalyan from Marmaris, you can plan your own program and itinerary, simple you choose where to go, where to visit and where spend more time. 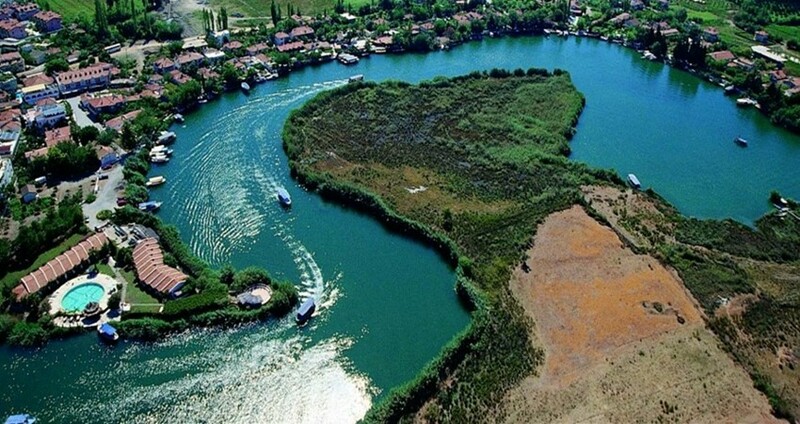 Nature and History of Dalyan will give you an amazing day !!! Lunch Menu: Cold Starters, Main Course (BBQ Chicken, Rice and Chips), Season Fruits.